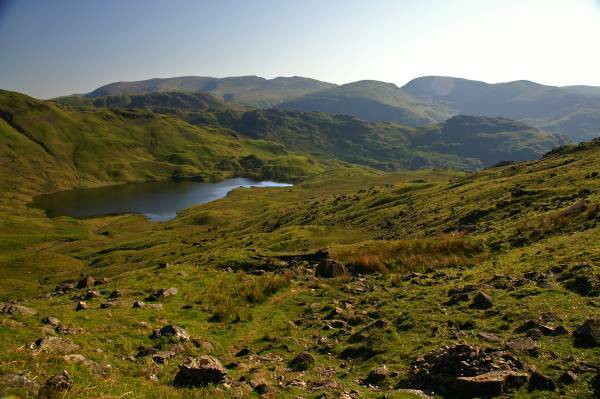 Easedale Tarn and Sourmilk Gill. Route. 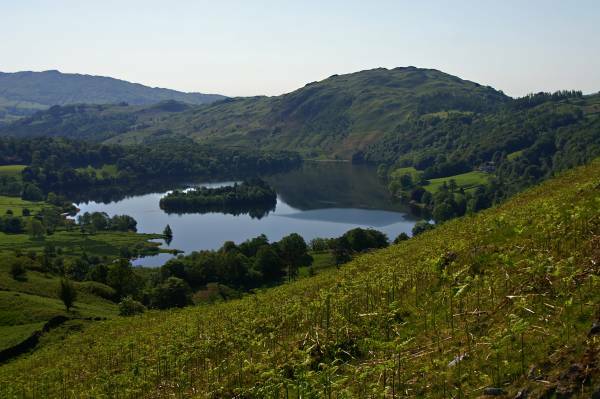 Grasmere - Easedale Road - New Bridge - Sourmilk Gill - Easedale Tarn - Blea Rigg - Little castle How - Swinescar Hause - Brigstone Moss - Allan Bank - Grasmere. Notes. Another day with a cloudless sky. 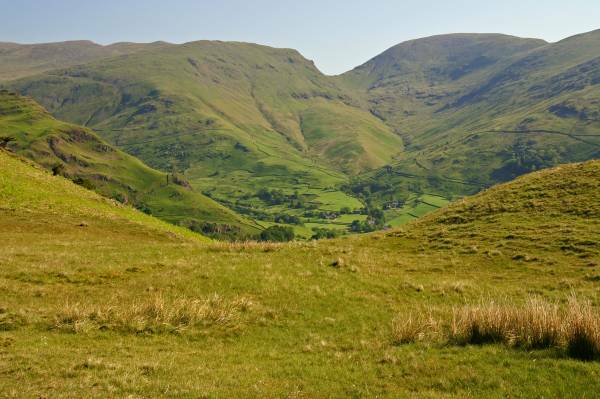 I left the house before six this morning it was already hot, my destination Grasmere, my intention, head up Sourmilk Gill to Easedale Tarn, after that it depended how hot I was. Kirsten refused to come she says she's got Hay Fever, that's the code for things to sell on E-Bay, another code she uses regular is Food Poisoning, that's a Hangover, we seem to get an awful lot of Food Poisoning in our house. 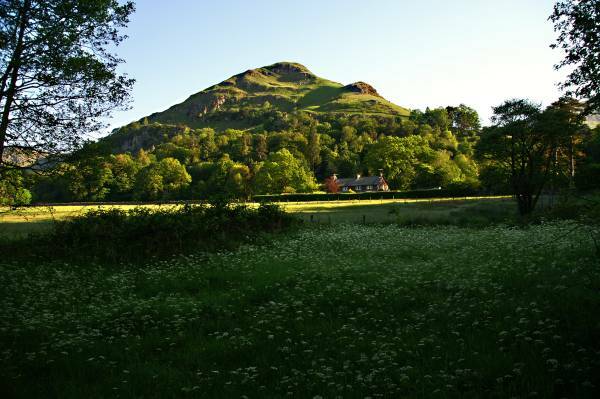 I used the St Oswald's Church car park in Grasmere, my route took me up Easedale Road, at a small copse a footbridge leaves the road, I crossed it to enter fields. 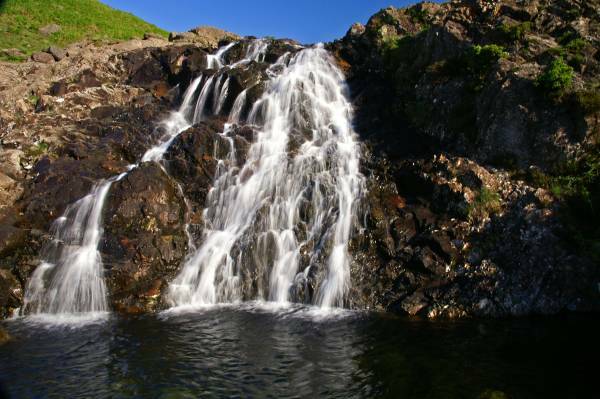 I'm now walking along an old bridleway originally constructed for Victorian Fell Trekking Ponies, following the route of Easedale Beck I'm soon ascending Sourmilk Gill, stopping to photograph the waterfalls before reaching Easedale Tarn. 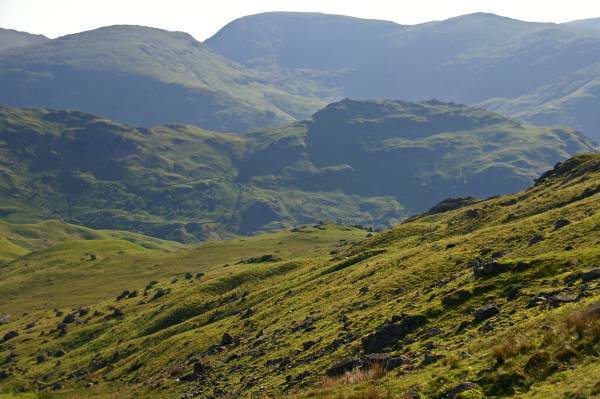 It was decision time, I was hot, very hot, I could descend to Far Easedale, I could ascend to Codale Tarn then over Tarn Crag, or I could follow the path that rises onto the coll between Blea Rigg and Great Castle How, it was the latter, maybe there would be a breeze on the tops. 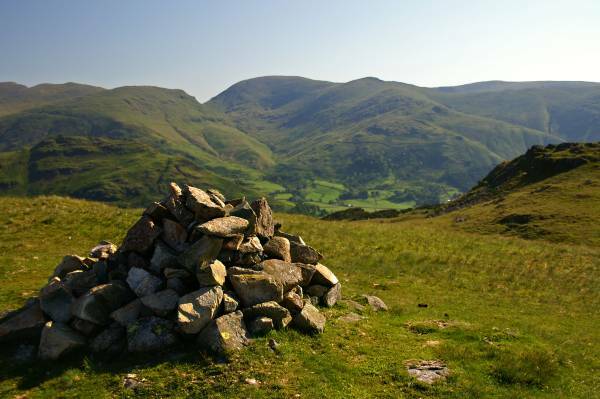 A small cairn on the south bank of Easedale Tarn marks the start of this path. 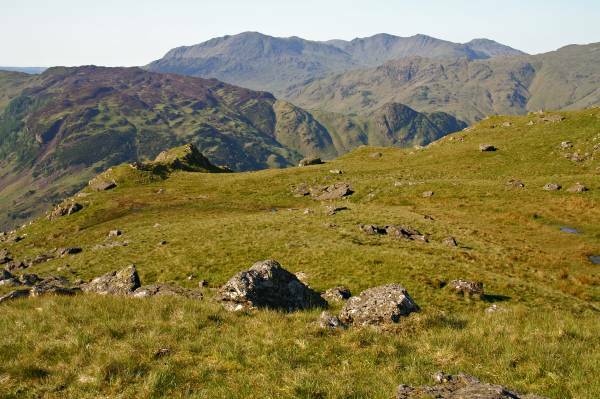 I ascended through the coll onto a broad grassy ridge where I turned east, the path meanders between lots of rocky knolls, Great Castle How, Little Castle How, Raw Pike, Swinescar Pike it was to hot to climb them all. I finally reached Lang How and three small unnamed tarns, here the path swings left to descend over Brigstone Moss passing the head of Wray Gill before reaching a narrow rocky lane, a couple of hundred yards between dry stone walls saw me on tarmac descending past Allan Bank before entering Grasmere. 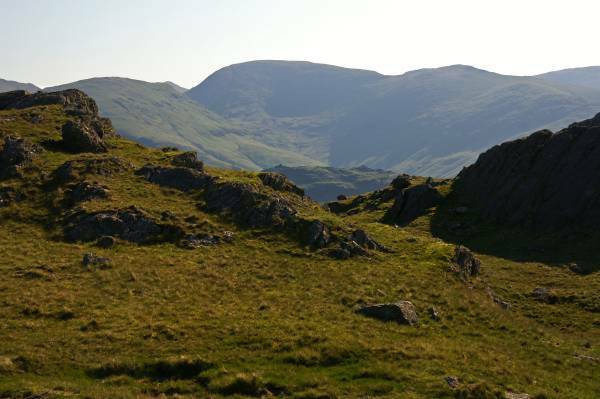 Heading out on a bridleway built by Victorians, looking to Helm Crag rising above Easedale. 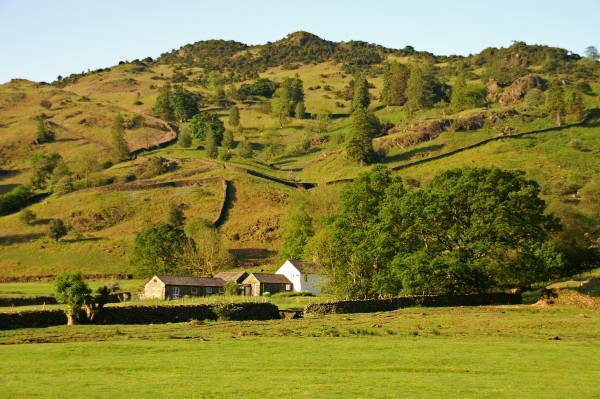 Looking to Ecton Crag and the bridleway above Sourmilk Gill. 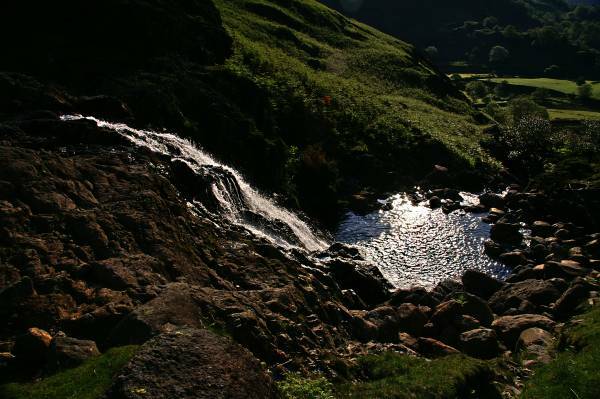 One of many waterfalls that make up Sourmilk Gill. Above the fall with a glimpse into Easedale. 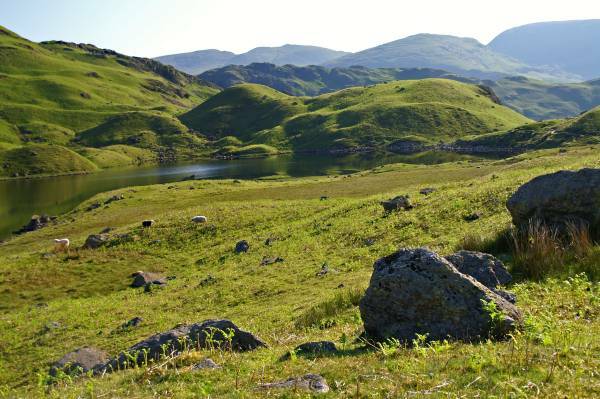 This is what the Victorians came to see, Easedale Tarn. 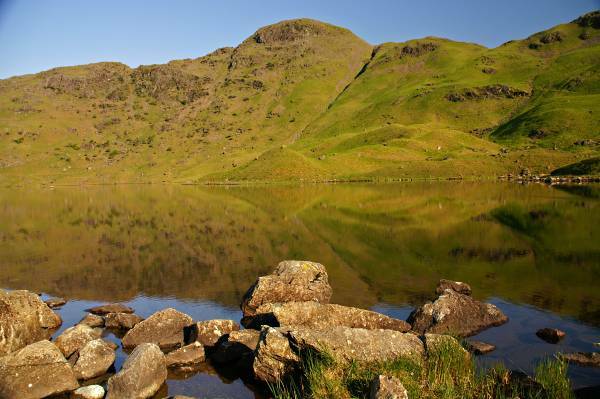 Greathead Crag reflects in the still waters. Ascending to the coll between Blea Rigg and Great Castle How with views back to Easedale Tarn, above Cockly Crag Seat Sandal and Fairfield. 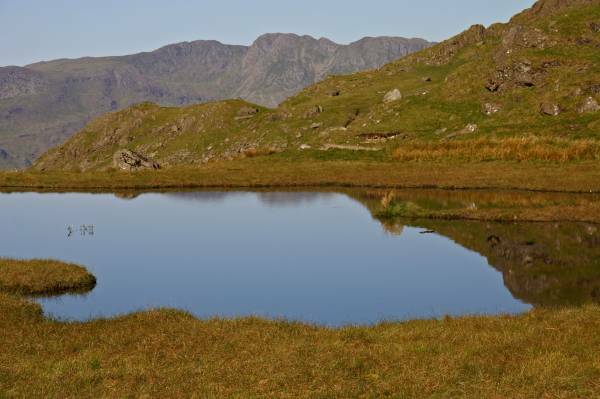 A wonderful view across Easedale Tarn with the Helvellyn range and Fairfield massif across the skyline. Seen from the coll Fairfield over Helm Crag. 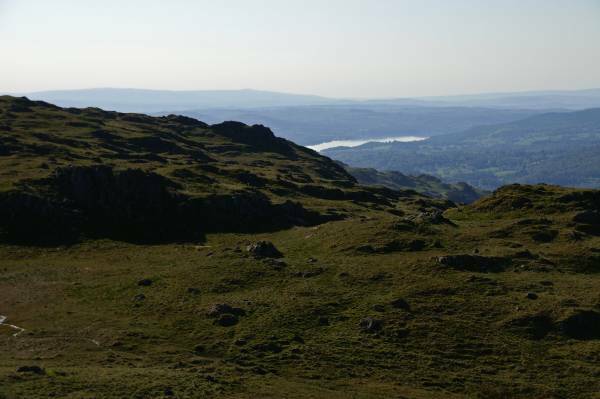 The first view of Windermere Lake. Lingmoor Fell in the shadow of Wetherlam. 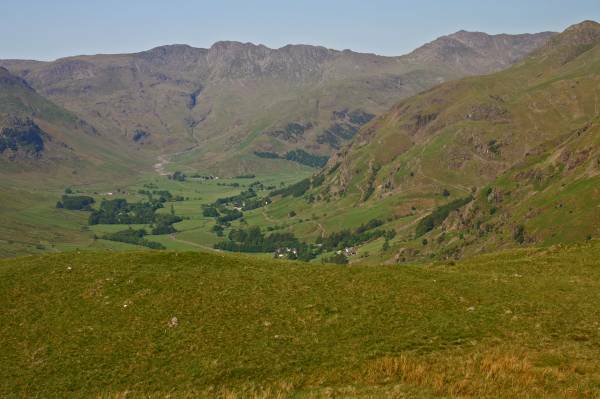 On the wide grassy ridge between Langdale and Easedale looking to Fairfield. 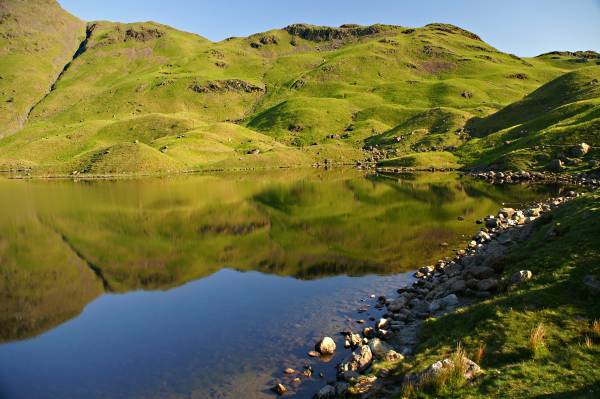 From an unnamed tarn in the shadow of Blea Rigg the Crinkle Crags. From an unnamed summit a wonderful view across the Vale of Grasmere, Seat Sandal to the right Fairfield leading to Great Rigg. 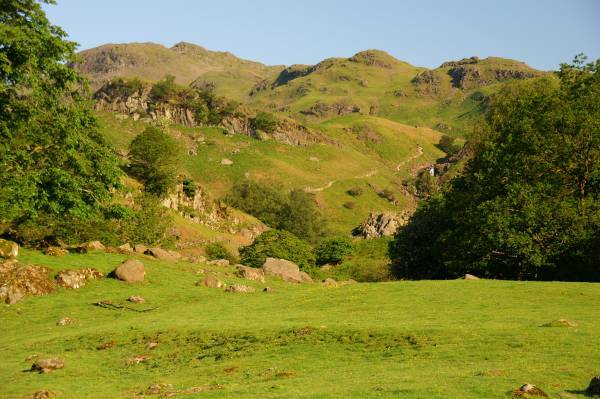 The Crinkle Crags across Great Langdale. Brigstone Moss the start of my descent. On the other side of Brigstone Moss looking to Hause Gap between Seat Sandal and Fairfield. Loughrigg Fell seen over Grasmere. 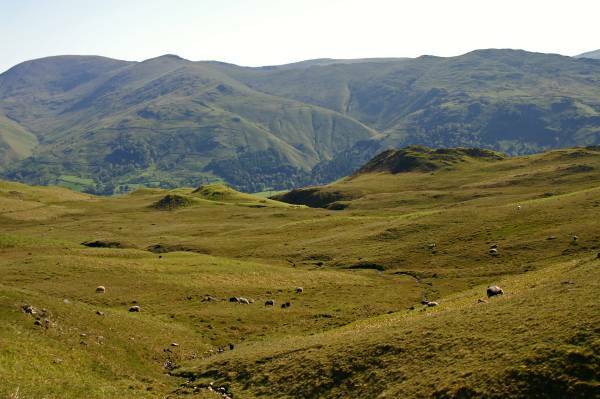 Near Allan Bank with views to Helm Crag and Seat Sandal, the gap between the two being Dunmail Raise.